Here is a FANTASTIC deal on silica wicking. What makes this silica better than standard silica is the braiding. Braided is far more expensive and labor intensive. Its one of the reasons Ekowool is so popular. This price is more than 1/2 off standard twisted silica wicking and 3/4 off the price of other braided silica wicking. 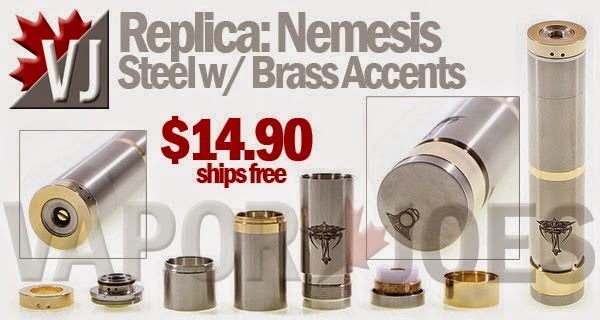 Great for personal use, reselling on eBay, merchant sites, and B&M stores. At 20 cents a foot – its the best deal going. IN FORCE: HEADING TO VAPEBASH! We are off to Vapebash in Chicago. One of the biggest meets in the industry is taking place April 11th and 12th. 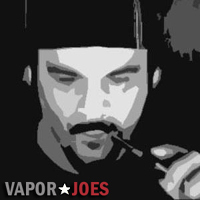 Everyone and anyone will be there and The Vaporjoes network will be out in force. Novabroadcasting will be the streaming the meet live in its entirety. Mod Envy will stream live from the event. We are leaving a few daysearly. All the good stuff happens the day before the actual event! Deals will continue to be posted and any breaking news / leaks will be blogged. I hope to see many of you there. We blew them out the first time and they are back in stock! Here is something new. 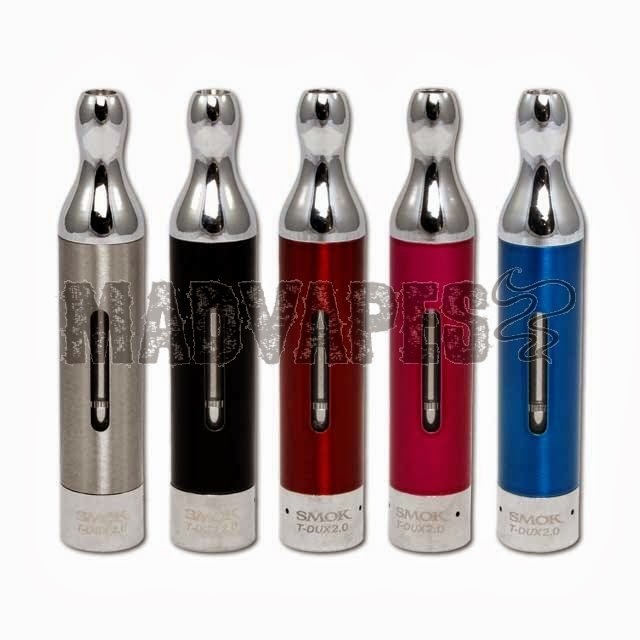 A reasonably priced American atomizer. 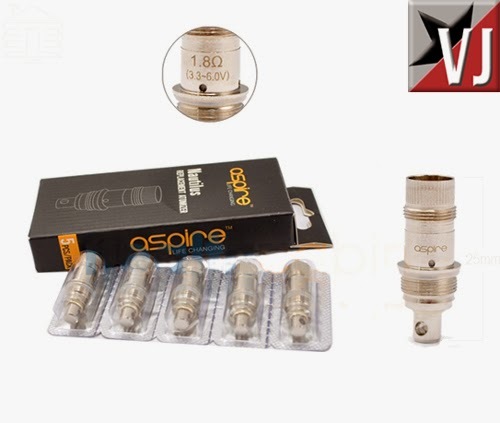 Spirit is a dripping style rebuildable atomizer the features a stainless steel body and base and fits most 510 drip tips. 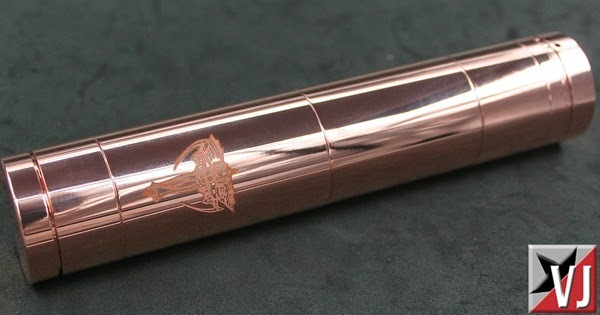 It has a sealed connector on the bottom of the threading and has two air holes that are on the side of the atomizer. 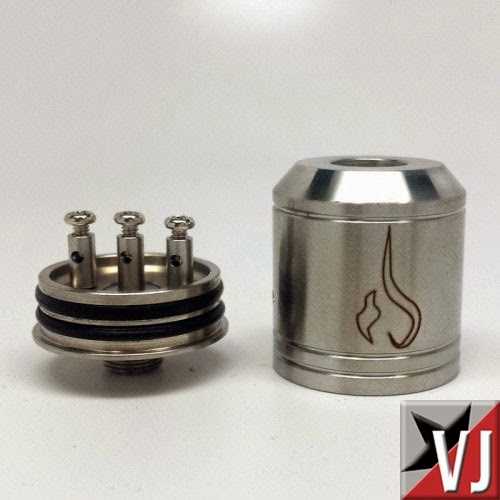 It has an extra post with it to allow for single or dual coil setups. We blew this guy up when we posted this deal. 100’s were sold over the course of a day and he has now restocked. I have a bunch of these and they are fantastic! I have a bunch – they are great! 50% OFF: PERFECTION VAPES – THE KRINGLE MAKES YOU TINGLE! Perfection Vapes is running a 50% off sale on all their juice. I have been a long time vaper and fan of this juice company. 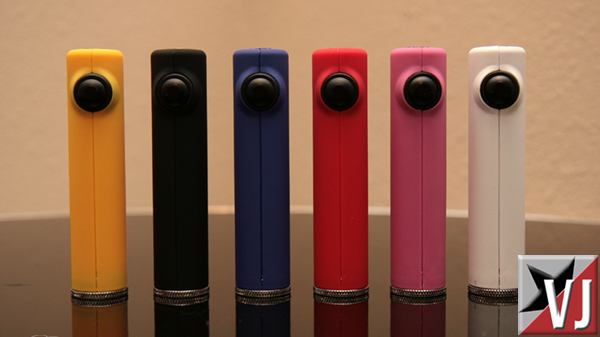 They are a sponsor on Mod Envy and I have had the privilege of trying a ton of different flavors. With over 1000+ flavors to choose from you can be sure there is something there for everyone. I find that any flavor with the word “Kringle” in the title means its going to be incredibly addictive! The “Kringle” is a burnt sugar flavor that adds a wonderful sweet note to the juice. My personal favorite from the “Kringle” line is Banana Nut Kringle. Other great flavors are Krackle Kringle, Trolls Blood, Interceptor, EggNog Sugar Cookie, Vanilla Dipped Treat, and their Custard. Gorgeous! 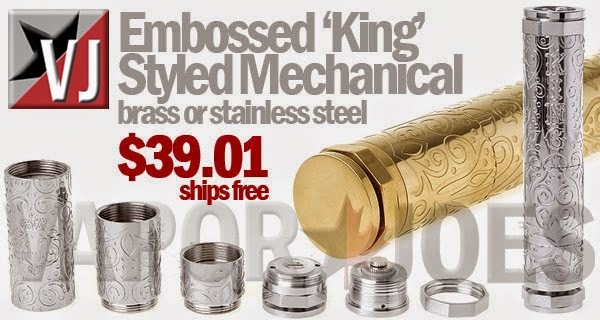 This King Mod replica features beautiful embossing on the body tubes, and comes with all tubes to house any 18 series battery with a kick ring as well. Bottom switch is spring loaded and features a reverse threaded locking ring. 510 connector is recessed with an adjustable positive pin. Available in stainless steel or brass for 4 cents more. We blew out the first round – so how about a second round? A personal favorite of this blogger, the Fogger atomizers are an easy to build gravity-fed atty that offers great flavor and plenty of vapor in an attractive package. In the version 4, they’ve added two more channels for juice to feed the wicking material and it’s optimized for dual coil builds. The deck is more accessible for building and the adjustable airflow has been improved as well. In addition, we’re hearing this version is easier to fill too. It just keeps getting better! Constructed of stainless steel with glass tank. 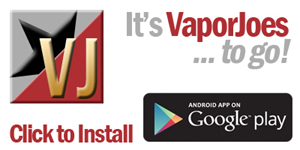 This deal was found by our international site — Vaporjoes Canada. Tyger told me about this deal and I thought it to be so reasonably priced I had to put this up. I normally only pimp one Chinese site (FASTTECH), however this particular deal was too good not to pass up. 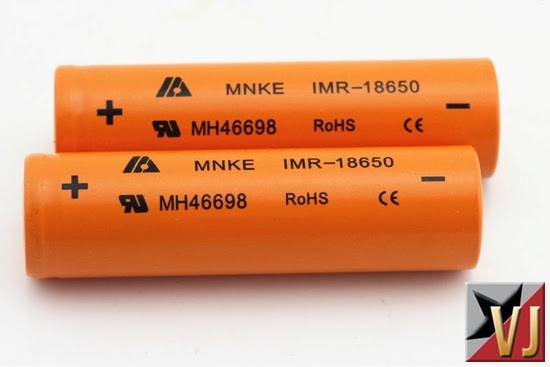 I have bought from this vendor in the past and had no issues. The price is so good I bought 5. I wouldn’t let this slip past you.